The picture in Africa is a lot more complex [than in the West] because Africa is one of those places where anything you say about it is both true and untrue. I will therefore limit my observations to Kenya and to Nairobi in particular. 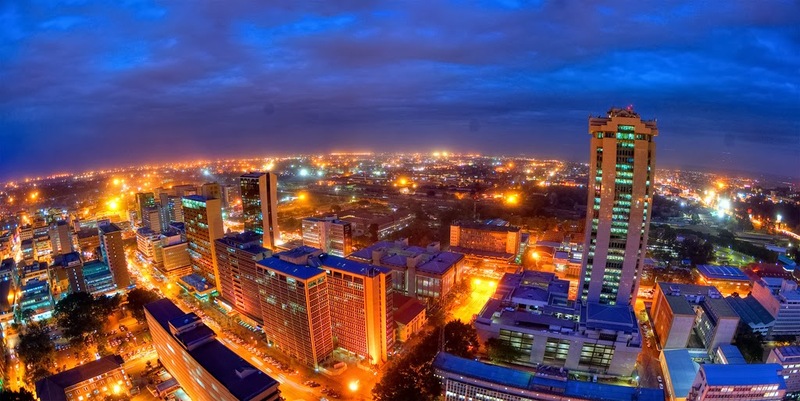 If Europe entered the postmodernism debate through the path of disillusionment with her own modernist experiment, Kenya has entered the discussion through a different path entirely; that of globalization. Whether Mosongo’s report is a little exuberant or not, 93% of Kenyan households have at least one mobile phone (Afrobarometer 2013 report) and increasingly the trend is for smart phones. What this means is that Kenya is already seeing several applications of postmodernism in the lives of her people already. There are several examples in our institutions. I’ll mention one and discuss the other briefly. On 27th August 2010, Kenya promulgated what is perhaps one of the most postmodern constitutions on the planet. How that is so will have to wait for another day. illustrations; the so called ‘Prophet (or as a wag called him, ‘Profit Kanyari Mwangi’) and the character of preaching. Kanyari’s story was recently featured in the investigative programme Jicho Pevu. He is accused of faking miracles and duping his credulous congregation into giving him money. His bizarre story illustrates how comfortable some Kenyan congregations are with a postmodern mindset. It takes little to convince anyone who watched the programme to conclude that Kanyari’s congregation is not interested in asking whether there is truth behind the so called gospel of the self baptized prophet. Their overriding interest is the affirmation of their hopes and prayers. Kanyari being a clever businessman, he would never dream to disappoint them by holding their hopes and their prayers against the light of the Scriptures. The congregation is encouraged to work up more faith and to give more money in order to receive their miracles. At one stage in the programme, Kanyari’s side kick says that members of other churches come to them for miracles.to his mind that authenticates their so called church. Neither he nor his boss nor the congregation once appeals to objective truth claims as the basis of their belief. Finally, the character of preaching in Kenya demonstrates how postmodern the church has become. Expository preaching (faithfully letting the Bible speak on its own terms) is now so rare as to seem exotic. I suspect the draw of both ‘topical preaching’ and ‘verse hopping across the Bible,’ is based on the belief that the spirit of God can lead different preachers to say completely different things from the same passage. Take the example of Acts 13:9 in which Saul’s name is also given as Paul. A postmodern preacher would say that the spirit leads one preacher to infer the passage to be teaching on the ‘power of names in determining destiny’ while the same Spirit leads another to determine that the passage intended no such goal as the references to name change is incidental to the point of the passage. The character of preaching in Kenya is postmodern to the extent that one hears Bible passages taught in a way that suggests the original author of the passage had no agenda of his own. Many preach as if the meaning of the passage is determined by the preacher. They preach as if Bible passages really mean what the preacher wants them to mean. Tags: Church, East Africa, expository preaching, Kanyarism, Kenya, postmodernity. Bookmark the permalink.